As Peter said on the day of Pentecost, “This is that.” The outward life and interactions we manifest should be the overflow of what is happening in our spirits. The Ark of the Covenant was carried into battle by Israel at times, and was a tangible reminder of God’s presence with them. However, it was not a magic charm. When it was taken into battle by Eli’s sons Hophni and Phinehas, and the hearts of Israel’s leaders were not right, it was captured by the Philistines (1 Sam. 4:1-17). The Ark was taken from the Tabernacle of Moses at Shiloh. When Yahweh opposed the Philistines because they had the Ark they returned it to Israel. However Israel neglected it. The Ark of the Covenant was neglected by the nation and the sacrifices and other activities continued at Shiloh at the Tabernacle of Moses. A picture of how we can operate in religion with some power but lacking the true presence of God as the focus of our worship. The next mention of the Ark is under the reign of Saul. There is some scholarly debate as to whether this passage actually refers to the Ark of the Covenant or the ephod. Either way, under their current leadership the nation was still treating Yahweh as a good luck charm and tool to be used against their enemies rather than as the focus of their worship. In a similar manner we can be in the habit of reading our bibles, attending services and signing worship songs, perhaps all well-intentioned, but still have a sense there is something more. That something more is Jesus. Not the Jesus of theories but the one who dwells within. As a habit, almost reflexively, we pray toward heaven. This is a good habit Jesus did it (see Jn. 11:41). Yet at the same time, as Israel neglected the Ark among them we can neglect the life within us. Have you ever tried to find something you already have? Looked for the glasses you later discovered were on your head on looked for the keys you had in your hand? There is a song with the line, “Looking for love in all the wrong places.” We need to look for Jesus in all the right places. An ongoing theme for Paul was our need to encounter this life within. To paraphrase the passage above, Paul is saying, ‘You have the right structure and you are faithful but make sure you get to know the one within you.” Paul exhorted us to walk in Him and the context of the writing is Paul refuting wrong teaching and establishing right teaching. He wanted his readers, and by extension us, to know that because we have Jesus in us we need to have our life rooted in Him, not just in right doctrine but a right experiential relationship. While Christianity is rooted in a doctrinal or belief system, our doctrine and belief is to lead to experiences of Him, being ‘rooted and built up in Him.’ In fact in the passage above, even though Paul was not physically present, because of the relationship he had developed with Jesus he described being spiritually present among the Colossians and seeing some of what they were doing (a literal translation of verse 5 from the Greek is ‘rejoicing and seeing’). I have had this happen, having the Holy Spirit show me something in a dream then seeing it played out. Years ago someone, I will call him Bob, described to me how a mutual prophetic friend relayed to Bob what had taken place at a meeting Bob was at. Even though the prophetic fellow was not present it was as if he had been at the meeting. I am not saying this should be our goal, just that it illustrates what can flow from knowing Him and interacting with the One over the Ark, not just knowing about Him. Let’s get to know the One within. In my next post I will pick up the natural journey of the Ark of the Covenant, David’s choices in relation to it, and the implications for our spiritual life. 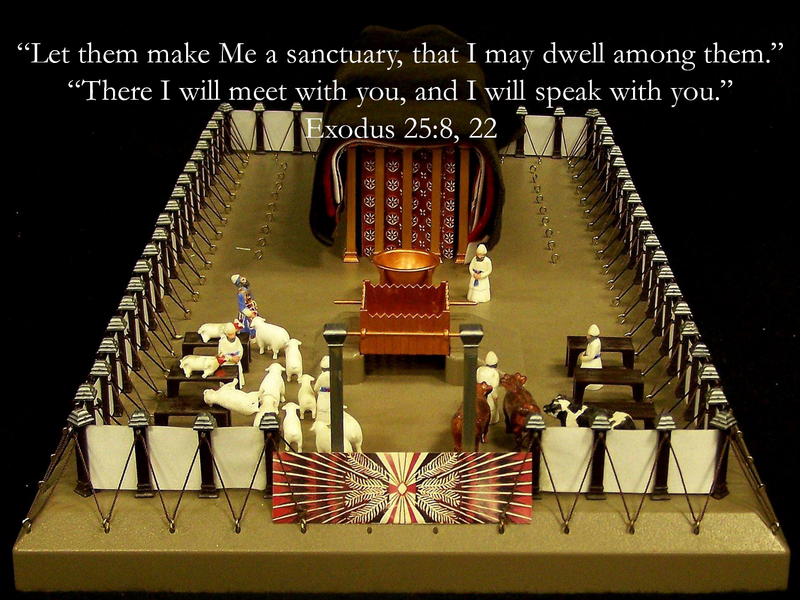 The description Yahweh gave to Moses of how to build the Tabernacle and Ark of the Covenant covers Exodus 25-30. I won’t go into all the details, they are in the scriptures, however it is important to note that is was divided into three parts, an outer court, Holy Place and the Holy of Holies, which I believe correspond to our triune nature. If you go from the inside out the Holy of Holies represents our spirit, designed to hold His presence. The Holy Place corresponds to our soul and the outer court, the most visible part, corresponds to our bodies. All were ultimately created for His purpose. The inner court contained three objects, the lampstand which represents our mind (light and illumination), the table of showbread which represents our will, supposed to be broken (the ground grain) and submitted to His will, and the altar of incense, which represents our emotions and desires. The altar of incense was positioned right outside the Holy of Holies so the fragrant incense entered into the Holy of Holies, into His presence. Our desires are to be directed toward Him. However, just at our lives truly only have eternal value and purpose when He dwells within us, even so the Tabernacle of Moses, and later Solomon’s temple, found their true value in the One who dwelt within it! One of the great tragic scenes in scripture is in Ezekiel. In Ezekiel the priest and prophet Ezekiel is taken into a prophetic experience where he sees the Glory of Yahweh depart from the Temple in Jerusalem. Ezekiel is in Babylon at the time as part of the captivity so he is shown this in the spirit realm. Imagine being Ezekiel, passionately committed to Yahweh, your nation, and His temple and seeing Him depart and no one noticing and going on with their lives as if He were still there! The Hebrew word for His glory is kabod and connotes a brightness and heaviness. The word Ichabod means, there is no glory, that is, the glory is gone. The key verses in Ezekiel chapter 10 are below, and below that the source of the expression of Ichabod. In this description, before and after this event Yahweh showed Ezekiel the wickedness of the leaders in Israel. The great tragedy is that after He lifted off from between the Cherubim on the Ark of The Covenant He paused and waited to see if anyone would notice and repent. When no one did He continued and left the temple. So, how does this relate back to us? See the picture below. Yahweh’s glory dwelt over the mercy seat (the lid of the Ark) between the outstretched wings of the Cherubim. 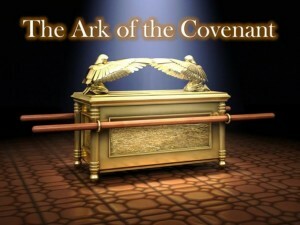 While the Ark of the Covenant was beautiful, it only had real value when Yahweh’s glory dwelt between the Cherubim. Without His glory it was just an elaborate and expensive storage chest! Paul described us as being His temple. The key part in the temple, the Holy of Holies is what Paul referred to in the verse above. Solomon informed us that our spirit was His lamp. We need the light of His presence dwelling within and then we need to learn how to cooperate with His grace to spiritually mature. I believe we grow through intentional encounters with Him and through spending time in His word and presence. While the Ark was beautiful it was rarely seen. In the same way, Paul not only said we have this treasure, His glory, in earthen vessels, he also pointed us to something else. We are called to an ongoing internal encounter with His glory within our spirits that is generally not observed by others, just as the ministry of the high priest before the Ark was not observed. Our mind, will and emotions are called to cooperate in this endeavour. Encountering Him deep within is carrying the Ark and I will delve deeper into the how of this in future posts. 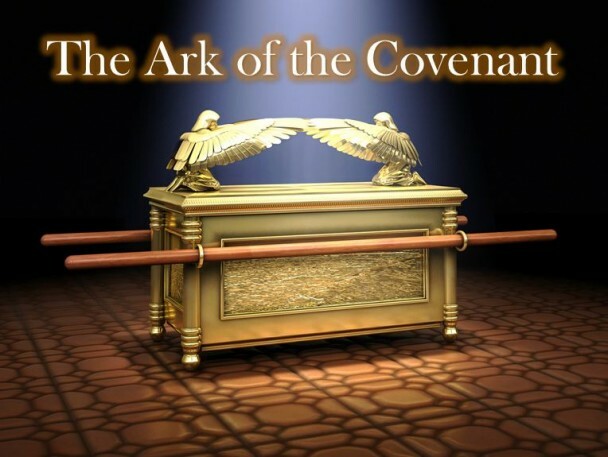 To better understand the Ark of the Covenant and how it is a journey into Yahweh’s heart and presence it is helpful to see how it contextually fit into the Tabernacle of Moses. Below is a depiction of the Tabernacle which grew out of Yahweh’s command to Moses. In the depiction above the outer court is the area where the sacrifices took place on the altar. The large bronze bowl was the laver for washing and behind that, the tent like or curtained off area contained first the Holy Place and behind it the Holy of Holies, the home of the Ark of the Covenant when the tabernacle was set up as the nation camped. The principle inherent in this proverb is that Yahweh hides things not from us, but for us. What is hidden in Numbers 2 is a prophetic message pointing to the cross, the glory of God is hidden in the cross. It is hidden because though the Ark was in the Tabernacle of Moses, and later the Temple of Solomon, it could not be seen and unless it was carried into battle or before the nation as it moved, it was only observed once per year by one man, the High Priest on Yom Kippur, the Day of Atonement. We will later discover a glorious exception in the life of David but this was in general how it worked. His glory was present but usually concealed. Paul, well aware of this described us as containing this treasure in earthen vessels. He first informed us that as believers we are His temple. The phrase temple that is used here refers not to the whole edifice but to the Holy of Holies, the dwelling place of the Ark of the Covenant. Building on this he made his declaration in 2 Corinthians. Paul’s message is that God is not ‘out there somewhere.’ When we are born again He is ‘in there somewhere’ and we need to get to know this One who dwells within that we may reveal Him without.